What an excellent job you've done with our Marryoke - we can't wait to send the link to friends and family. These videos are just highlights of your day. Your wedding film will include background sound, audio of your ceremony and speeches and of course you choose the music! MOXHULL HALL HOTEL Wedding Highlights for Lynsey & Carl with ceremony in beautiful Calliope’s Garden, photoshoot in the beautiful gardens and stunning marquee to follow. MOOR HALL HOTEL Wedding Highlights for Samantha & James working with amazing photographer David Wadley at a lovely family wedding with stunning bride. 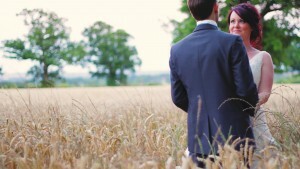 PACKINGTON MOOR Wedding Highlights for Richard & Gemma using footage filmed during their Marryoke day. Who could miss out on these memories? SHOTTLE HALL Wedding Highlights for Vicki & Paul - Vicki and Paul hadn’t wanted a wedding video originally but after their day they realised that they wanted to remember and relive it all over again and we had all their footage so they upgraded to a wedding film. So glad for them - hoping they love it as much as we loved being part of their amazing wedding day. HOAR CROSS HALL Wedding Highlights for Hayley & Adam at Church of Holy Angels with reception at Hoar Cross Hall. Vintage themed with vintage photobooth & candies caravan. FAMILY HOME MARQUEE Wedding Highlights for Natalie & William with groom first at The Holly Bush Inn then ceremony at St Chad’s Church, Seighford and reception back at family marquee. An absolutely beautiful wedding in a stunning setting. TISSINGTON HALL Wedding Highlights for Ben & Katie filmed at stunning venue Tissington Hall with ceremony in the beautiful little St Mary’s Church just a short walk down the road. ABIGAIL & MATTHEW LOWTON AT FOUR OAKS, SUTTON COLDFIELD AND NEW HALL HOTEL Highlights of a beautiful wedding. Is this Aston Villa player Matthew Lowton’s best score ever? DONINGTON PARK HOTEL WEDDING VIDEO HIGHLIGHTS Happy family Winter wedding day with so much fun provided for the guests by Sara and Richard. THE BOTANICAL GARDENS - BIRMINGHAM WEDDING HIGHLIGHTS for Harwinder and Flora. A beautiful day with beautiful people.